It's easy to get started earning commisions! 1) First, read our Affiliate Agreement2) Then fill out the online Application Form. Applications will usually be responded to within 5-7 business days. If approved you will receive a unique code and instructions on how to properly link your site to start earning merchandise credits! Before becoming a Arcade Emulator.net affiliate you must accept our "Affiliate Agreement". By submitting an Affiliate Application you signify that you have read, understand and accept the terms of our Affiliate Agreement. Arcade Emulator.net Affiliate Agreement This Agreement contains the complete terms and conditions that apply to an individual or entity's participation in the Arcade Emulator.net Affiliate Program ("Program") and the establishment of links from your affiliate web site to the pages of Arcade Emulator.net As used in this Agreement, "we" means Arcade Emulator.net, and "you" means the Affiliate Program applicant and/or the Affiliate Site. By completing and sending in the accompanying Arcade Emulator.net Affiliate Program registration form, you are entering into a legal agreement with Arcade Emulator.net, which contains all of the terms and conditions below and governs your participation in the Arcade Emulator.net Affiliate Program. To begin the enrollment process, you will submit a complete Arcade Emulator.net Affiliate Program application. We will evaluate your application in good faith and will notify you of your acceptance or rejection in a timely manner. We may reject your application if we determine (in our sole discretion) that your site is unsuitable for the Program for any reason. As an Affiliate Site, we will make available to you graphic and textual links (each of these links sometimes being referred to herein as "Links" or, individually, as a "Link"), which subject to the terms and conditions hereof, you must display as often and in as many areas on your site as is reasonable. The Links will serve to identify your site as a Arcade Emulator.net Affiliate and will establish a link from your site to Arcade Emulator.net. The Links may connect to specific category, product or the Arcade Emulator.net Home Page. You may not issue a press release with respect to this Agreement, or your participation in the Program without our prior written consent. In utilizing the Links, you agree that you will cooperate fully with us in order to establish and maintain such links. You also agree that you will display in your site only those graphic or textual images (indicating a Link) that are provided by us, and you will substitute such images with any new images provided by us from time to time throughout the term of this Agreement. All Affiliate Sites shall display such graphic and/or textual images prominently in relevant sections of their site. A Link may only be modified and/or expanded with our prior written consent. Each Link connecting users of your site to the pertinent area of our site will in no way alter the look, feel, or functionality of our site. Our Responsibilities: We will be responsible for providing all information necessary to allow you to make appropriate links from your site to our site. We will be solely responsible for processing every order placed by a customer following a special Link from your site, for tracking the volume and amount of sales generated by your site, and for providing information to Affiliate Sites regarding sales statistics. We will be responsible for order entry, payment processing, shipping, processing, cancellations & returns, and related customer service. a. If you qualify and agree to participate as an Affiliate Site, you shall display Links prominently throughout your site as you see fit and with our consent. b. Compliance with the Agreement: We have the right in our sole discretion to monitor your site at any time and from time to time to determine if you are in compliance with the terms of this Agreement. Merchandise Credit Determination Only Arcade Emulator.net Products that are (i) sold by us, (ii) purchased by users during a visit commencing directly from your site to our site pursuant to a Link ("Linked Users"), (iii) shipped by us, and (iv) for which we have received and retained full payment will qualify for a commission (each, a "Qualifying Purchase"). Commission rate is 12% of the actual amount charged to the customer and collected by Arcade Emulator.net for Qualifying Purchases, less sales taxes, shipping and handling ("Adjusted Gross Retail Sales"). A commission will only be paid if the visitor to our site is tracked by the system from the time of the Link to the time of the sale. No commission will be paid if the visitor to our site cannot be tracked by our system. If a visitor comes to our site once from a Link from Site A and then later returns to our site from a Link from Site B, all commissions, if any, will be paid to Site B. Less than 1% of our customers return orders. In the event they do, that credit will adjusted from your outstanding/future merchandise credits. Arcade Emulator.net reserves the right to change this program at any time. All current affiliates will be notified via e-mail in advance of any changes to the program. Payment: Checks will be issued once a month on the 5th, for all balances over $20.00. All balances under $20.00 will be carried over until the balance reaches $25.00 and at that time a check will be issued on the 5th of the next month. You will be given a link and have the ability to enter a protected site to receive your sales statistics on a daily basis. Policies and Pricing: Customers who buy Products through the Program will be deemed to be customers of Arcade Emulator.net Accordingly, all of our rules, policies, and operating procedures concerning customer orders, customer service, and Arcade Emulator.net product sales will apply to those customers. We may change our policies and operating procedures at any time. For example, we will determine the prices to be charged for merchandise sold under the Program in accordance with our own pricing policies. 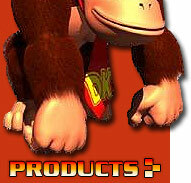 Prices and availability of Arcade Emulator.net Products may vary from time to time. Because price changes may affect products that you already have listed on your site, you may NOT include price information in your product descriptions. We will use commercially reasonable efforts to present accurate information, but we cannot guarantee the availability or price of any particular product. 1. WE GRANT YOU A NON-EXCLUSIVE, NON-TRANSFERABLE, REVOCABLE RIGHT TO (i) ACCESS OUR SITE THROUGH THE LINKS SOLELY IN ACCORDANCE WITH THE TERMS OF THIS AGREEMENT AND (ii) SOLELY IN CONNECTION WITH SUCH LINKS, TO USE THE Arcade Emulator.net TRADEMARKS AND LOGOS AND SIMILAR IDENTIFYING MATERIAL RELATING TO US (BUT ONLY IN THE FORM(S) THAT THEY APPEAR ON OUR SITE) (COLLECTIVELY, THE "LICENSED MATERIALS"), FOR THE SOLE PURPOSE OF SELLING Arcade Emulator.net PRODUCTS ON YOUR SITE FOR Arcade Emulator.net. YOU MAY NOT ALTER, MODIFY, OR CHANGE THE LICENSED MATERIALS IN ANY WAY. YOU ARE ONLY ENTITLED TO USE THE LICENSED MATERIALS TO THE EXTENT THAT YOU ARE A MEMBER IN GOOD STANDING OF THE AFFILIATE PROGRAM. 2. You shall not make any specific use of any Licensed Materials for purposes other than selling Arcade Emulator.net Products on your site for Arcade Emulator.net Products without first submitting a sample of such use to us and obtaining the prior written consent of your Arcade Emulator.net Products account executive, which consent shall not be unreasonably withheld. You agree not to use the Licensed Materials in any manner that is disparaging or that otherwise portrays us in a negative light. We reserve all of our rights in the Licensed Materials and of our other proprietary rights. We may revoke your license at any time. 3. You grant to us a non-exclusive license to utilize your names, titles, and logos (the "Affiliate Trademarks"), to advertise, market, promote, and publicize in any manner our rights hereunder; provided, however, that we shall not be required to so advertise, market, promote, or publicize. This license shall expire upon termination of this Agreement. 4. You shall not create, publish, distribute, or permit any written material that makes reference to us without first submitting such material to us and receiving our written consent, which we agree shall not be unreasonably withheld. 1. You will be solely responsible for the development, operation, and maintenance of your site and for all materials that appear on your site. Such responsibilities include, but are not limited to, the technical operation of your site and all related equipment; creating and posting product reviews, descriptions, and references on your site and linking those descriptions to our catalogue; the accuracy and propriety of materials posted on your site (including, but not limited to, all Arcade Emulator.net Product-related materials); ensuring that materials posted on your site do not violate or infringe upon the rights of any third party and are not libelous or otherwise illegal. 2. We disclaim all liability for all such matters. Further, you will indemnify and hold us harmless from all claims, damages, and expenses (including, without limitation, attorneys' fees) relating to the development, operation, maintenance, and contents of your site, as well as any breach by you of any provision of this Agreement. The term of this Agreement will begin upon our acceptance of your Arcade Emulator.net Affiliate Program application and will end when terminated by either party. Either you or we may terminate this Agreement at any time, with or without cause, by giving the other party written notice of termination. You are only eligible to earn merchandise credits on sales occurring during the term, and merchandise credits earned through the date of termination will remain payable only if the related Arcade Emulator.net Product orders are not cancelled or returned. We may withhold your final allotment for a reasonable time to ensure that the correct amount is alloted. You and Arcade Emulator.net are independent contractors, and nothing in this Agreement will create any partnership, joint venture, agency, franchise, sales representative, or employment relationship between the parties. You will have no authority to make or accept any offers or representations on our behalf. You will not make any statement, whether on your site or otherwise, that reasonably would contradict anything in this Section or Agreement. We make no express or implied warranties or representations with respect to the Arcade Emulator.net Affiliate Program or any Arcade Emulator.net Products sold through the Affiliate Program (including, without limitation, warranties of fitness, merchantability, non-infringement, or any implied warranties arising out of course of performance, dealing, or trade usage). In addition, we make no representation that the operation of our site will be uninterrupted or error free, and we will not be liable for the consequences, monetary or otherwise, of any interruptions or errors. You hereby represent and warrant to us as follows: 1. This Agreement has been duly and validly executed and delivered by you and constitutes your legal, valid, and binding obligation, enforceable against you in accordance with its terms. 2. The execution, delivery, and performance by you of this Agreement and the consummation by you of the transactions contemplated hereby will not, with or without the giving of notice, the lapse of time, or both, conflict with or violate (i) any provision of law, rule, or regulation to which you are subject, (ii) any order, judgment, or decree applicable to you or binding upon your assets or properties, (iii) any provision of your by-laws or certificate of incorporation, or (iv) any agreement or other instrument applicable to you or binding upon your assets or properties. 3. You are the sole and exclusive owner of the Affiliate Trademarks and have the right and power to grant to us the license to use your trademarks in the manner contemplated herein, and such grant does not and will not (i) breach, conflict with, or constitute a default under any agreement or other instrument applicable to you or binding upon your assets or properties, or (ii) infringe upon any trademark, trade name, service mark, copyright, or other proprietary right of any other person or entity. 4. No consent, approval, or authorization of, or exemption by, or filing with, any governmental authority or any third party is required to be obtained or made by you in connection with the execution, delivery, and performance of this Agreement or the taking by you of any other action contemplated hereby. 5. There is no pending or, to the best of your knowledge, threatened claim, action, or proceeding against you, or any affiliate of yours, with respect to the execution, delivery, or consummation of this Agreement, or with respect to your trademarks, and, to the best of your knowledge, there is no basis for any such claim, action, or proceeding. Except as otherwise provided in this Agreement or with the consent of the other party hereto, each of the parties hereto agrees that all information including, without limitation, the terms of this Agreement, business and financial information, customer and vendor lists, and pricing and sales information, concerning us or you, respectively, or any of our Affiliates provided by or on behalf of any of them shall remain strictly confidential and secret and shall not be utilized, directly or indirectly, by such party for its own business purposes or for any other purpose except and solely to the extent that any such information is generally known or available to the public through a source or sources other than such party hereto or its affiliates. Notwithstanding the foregoing, each party is hereby authorized to deliver a copy of any such information (a) to any person pursuant to a subpoena issued by any court or administrative agency, (b) to its accountants, attorneys, or other agents on a confidential basis, and (c) otherwise as required by applicable law, rule, regulation, or legal process including, without thereunder, and the Securities Exchange Act of 1934, as amended, and the rules and regulations promulgated thereunder. WE WILL NOT BE LIABLE FOR INDIRECT, SPECIAL, OR CONSEQUENTIAL DAMAGES, OR ANY LOSS OF REVENUE, PROFITS, OR DATA, ARISING IN CONNECTION WITH THIS AGREEMENT OR THE Arcade Emulator.net AFFILIATE NETWORK, EVEN IF WE HAVE BEEN ADVISED OF THE POSSIBILITY OF SUCH DAMAGES. FURTHER, OUR AGGREGATE LIABILITY ARISING WITH RESPECT TO THIS AGREEMENT AND THE AFFILIATE NETWORK WILL NOT EXCEED THE TOTAL MERCHANDISE CREDITS PAID OR PAYABLE TO YOU UNDER THIS AGREEMENT. You hereby agree to indemnify and hold harmless Arcade Emulator.net, and its subsidiaries and affiliates, and their directors, officers, employees, agents, shareholders, partners, members, and other owners, against any and all claims, actions, demands, liabilities, losses, damages, judgments, settlements, costs, and expenses (including reasonable attorneys' fees) (any or all of the foregoing hereinafter referred to as "Losses") insofar as such Losses (or actions in respectthereof) arise out of or are based on (i) any claim that our use of the Affiliate Trademarks infringes on any trademark, trade name, service mark, copyright, license, intellectual property, or other proprietary right of any third party, (ii) any misrepresentation of a representation or warranty or breach of a covenant and agreement made by you herein, or (iii) any claim related to your site, including, without limitation, content therein not attributable to us. YOU ACKNOWLEDGE THAT YOU HAVE READ THIS AGREEMENT AND AGREE TO ALL ITS TERMS AND CONDITIONS. YOU UNDERSTAND THAT WE MAY AT ANY TIME (DIRECTLY OR INDIRECTLY) SOLICIT CUSTOMER REFERRALS ON TERMS THAT MAY DIFFER FROM THOSE CONTAINED IN THIS AGREEMENT OR OPERATE WEB SITES THAT ARE SIMILAR TO OR COMPETE WITH YOUR WEB SITE. YOU HAVE INDEPENDENTLY EVALUATED THE DESIRABILITY OF PARTICIPATING IN THE Arcade Emulator.net AFFILIATE PROGRAM AND ARE NOT RELYING ON ANY REPRESENTATION, GUARANTEE, OR STATEMENT OTHER THAN AS SET FORTH IN THIS AGREEMENT. This Agreement will be governed by the laws of the United States and the State of Oklahoma, without reference to rules governing choice of laws. Any action relating to this Agreement must be brought in the federal or state courts located in Oklahoma City, Oklahoma, and you irrevocably consent to the jurisdiction of such courts. You may not assign this Agreement, by operation of law or otherwise, without our prior written consent. Subject to that restriction, this Agreement will be binding on, inure to the benefit of, and enforceable against the parties and their respective successors and assigns Our failure to enforce your strict performance of any provision of this Agreement will not constitute a waiver of our right to subsequently enforce such a provision or any other provision of this Agreement.